We are going to let everyone join our latest closed beta/stress test for Competitive. This is going to be a massive test for the mode and this will help us to find and fix the last bugs/problems. Invite all your friends and fight! Every earned GD (Game Dollar) will be doubled during this event. Keep in mind, boosting with other players will be punished with wiping reputation/game dollar. Every character which is available in the marketplace will have a discount of 50% during this event. 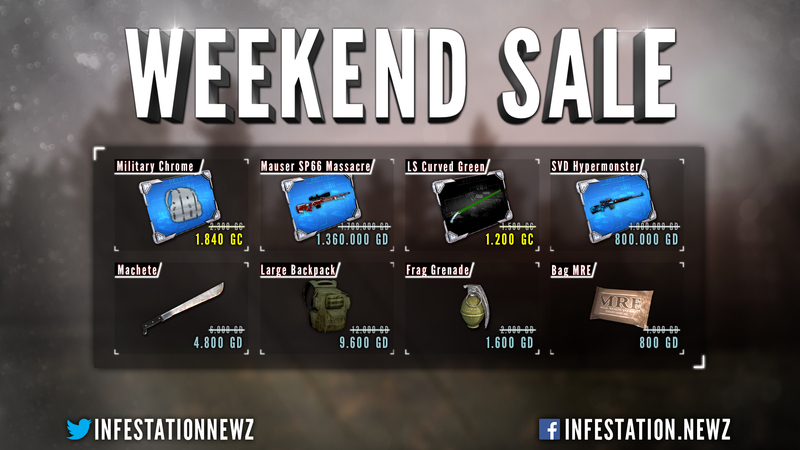 The Super Zombie is going to drop GD Skinboxes during this weekend. 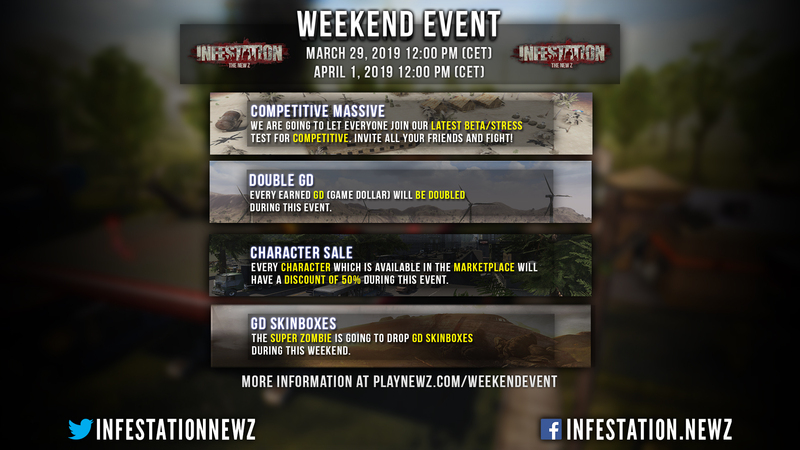 That is actually a decent event and I will definitely try to play more this weekend because of it.